Sea Dragon is another name knows for Phuket Island as the island look like the dragon. And because majority of Phuketian are Chinese, thus, the belief of the sea dragon had been in their spirit. 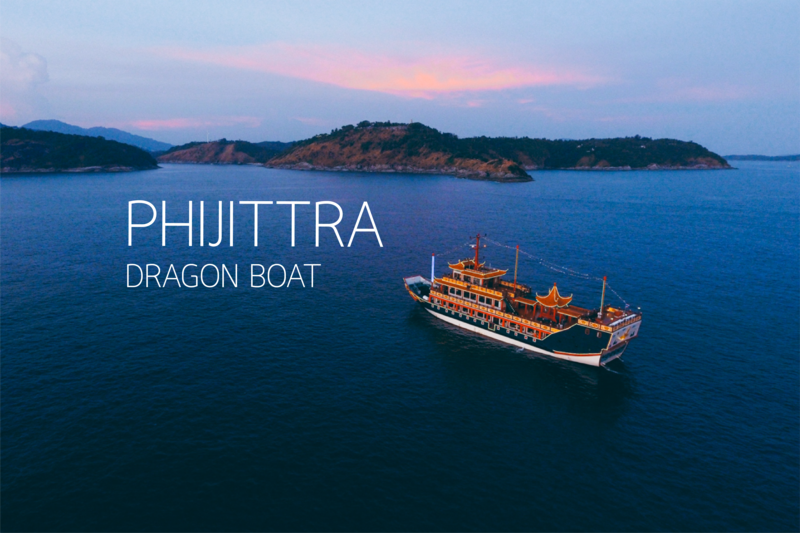 To be experience on Phijittra Dragon Boat and see the beautiful of Andaman sea is consider as another way of learning Phuket’s culture and traditional. We are talking about sunset viewing from the boat over Andaman sea together with enjoying special dinner buffet.